No matter what your sector is, if you are boosting the local economy and creating jobs, your success will be encouraged with state-based support available to those who set up business in the US. Every state in the union has an Economic Development Office (EDO), agency or authority, charged with attracting business to the locality and making setting up as painless as possible. The umbrella organisation for these state-based development agencies is SelectUSA, which has personnel working in most US embassies, including Dublin. SelectUSA investment specialists can help you to find useful data and information on the overall American economy, industry sector overviews, and relevant federal resources. To find out what makes establishing in one state different from setting up in another, you will need to access each state’s economic development agency. You can find listings for them here. At the recent E3 ‘Entrepreneurship Export Exchange’ conference, hosted in Dublin by Enterprise Ireland and Global Situation Room, representatives from the Iowa Economic Development Authority, the Mississippi Development Authority and Enterprise Florida outlined why their state makes a good US location for Irish-owned start-ups. Siobhan Masterson, Head of Corporate Affairs at IBEC, explained that the state-based organisations are a bit like the IDA. She estimates that, in the last year or so, representatives from eleven US states have visited the country to pitch for Irish business. While each agency can, of course, be expected to represent its state’s interests, compelling arguments were made at the conference for considering alternatives to headline locations, such as San Francisco, Miami, Boston, and New York. Kaitlyn McKay, a business development manager with the State of Iowa’s Europe Office in Frankfurt am Main, advised, “Take a look at real estate prices in San Francisco or Boston. Take a look at average rates of pay in these locations. They are really expensive. In Iowa’s case, the state has a strong IT sector. It is also a hub for plant, animal and human biosciences. The state capital, Des Moines, is home to America’s second-highest concentration of financial service companies. There are currently 433 foreign-owned companies operating in Iowa, including Kerry Group and CRH. Among the incentive programs companies can avail of are: a high-quality jobs programme, which offers tax benefits and loans to businesses moving to the state or expanding their facilities, a tax credit if you increase Iowa employments by 10%, and funding for new jobs training. Also speaking at the E3 conference, James Miller of the Mississippi Development Authority argued that the Magnolia State was an ideal business location for new businesses for a number of reasons. Mississippi enjoys America’s lowest cost of living and ranks in America’s top ten for the most tax friendly states for business, states with the most competitive labour costs, lowest utility charges, and fastest for authorising business permits. Mississippi is also a noted hub for advanced manufacturing and has a works fund that that supports training for new jobs. Not only are business supports available at state level in the US, support agencies also operate at city and country level. In some locations, business support organisations operate across state boundaries, such as Select Greater Philadelphia, a public-private partnership promoting inward investment across 11 counties in three different states. In addition to providing access to funding and tax credits, support organisations can provide facts and figures about local market conditions. Some keep a register of vacant commercial properties and brown-field sites, others can refer you to private business networks that will help you to source accommodation, business partners, and potential customers. Masterson adds that, as well as public bodies, it’s worth tapping into the knowledge of private networks in the US, such as Chambers of Commerce, trade associations, and professional bodies. “Private organisations will tell you things that public bodies can’t necessarily reveal. 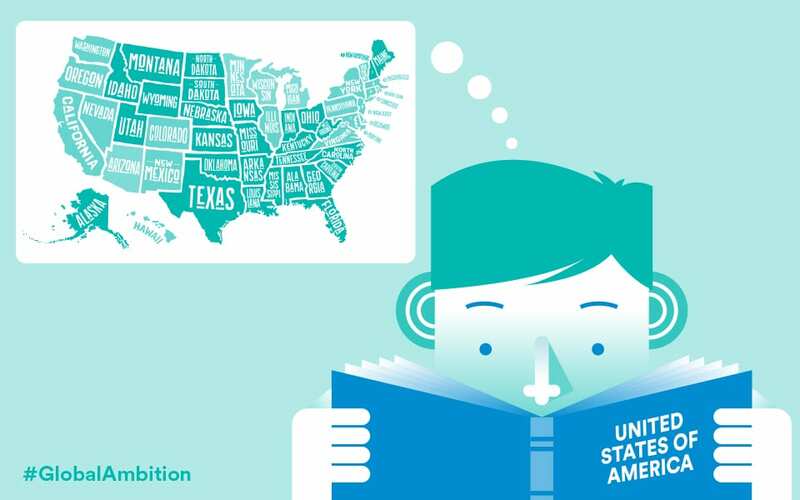 Before choosing a location in America: Do your homework and find out where you can get help. Learn more about the Enterprise Ireland global network and and accessing the US market on our dedicated US Market page.